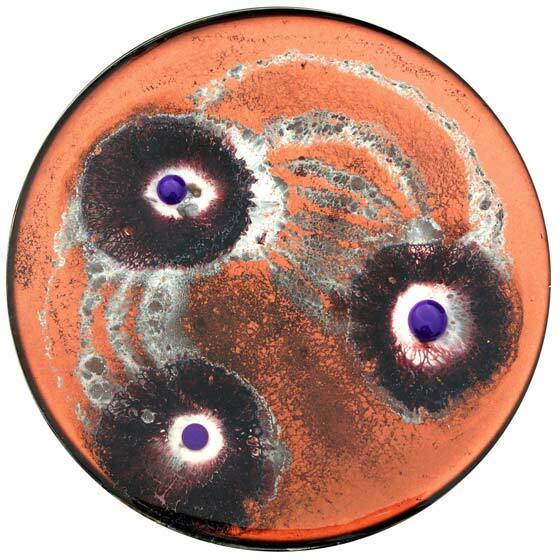 "The Daily Dish by Klari Reis is a series of hand painted plexiglass petri dishes. 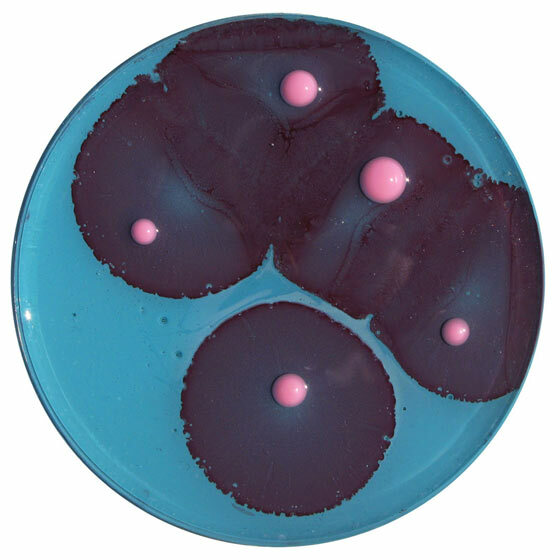 She uses epoxy polymer to depict microscopic images. The effect is hopeful, almost playful, belying the serious nature of the subject matter... 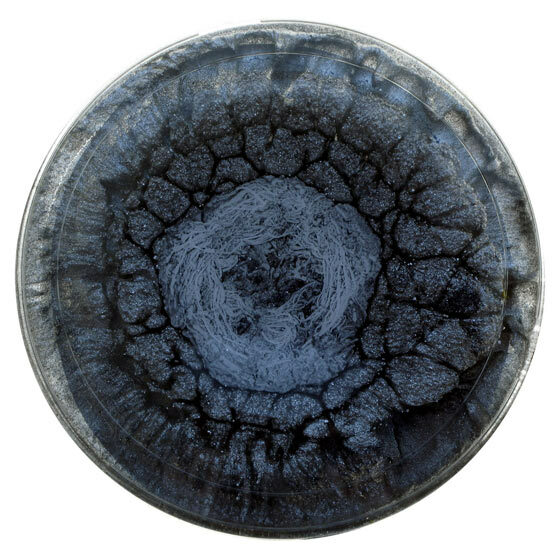 Working with biotech companies in San Francisco, Klari uses organic cellular imagery and natural reactions to explore our complex relationship with today's biotechnological industry." Beautiful! 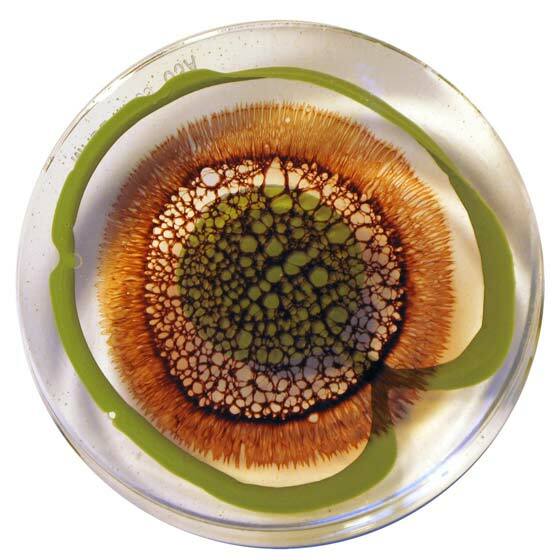 In college, a girl in my art classes made huge square plexiglass frames to hold agar agar and left them open in different places to let things grow on them. When they were done, she displayed them upright on stands so you could see both sides and the light coming through them. 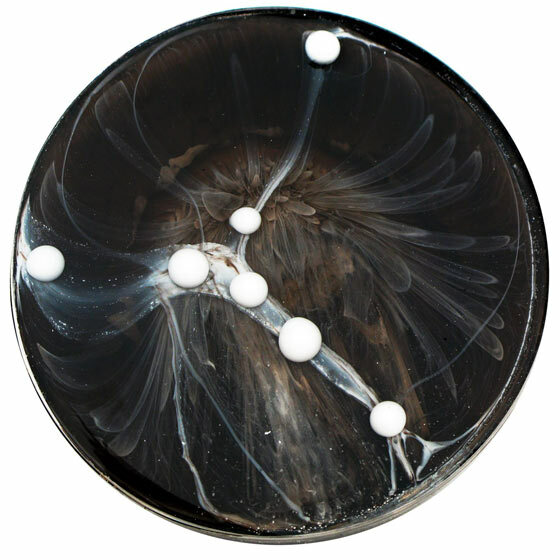 When upright, the agar, agar cracked and slid on some, and she was disappointed about that, but they were strange and beautiful just the same. I think she titled them with the places they'd been left to capture tiny life forms in. That was the coolest art project I've ever seen! wow, that is cool! reminds me of a geological survey. thanks for sharing! Thanks Evad! 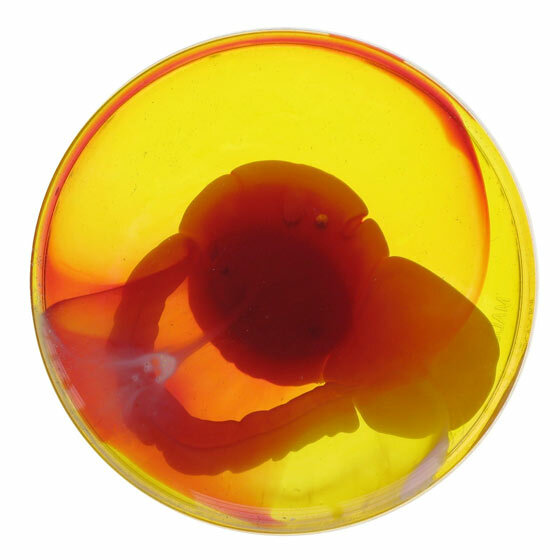 Because of your post I have chance to know about "Petri dish" even using Wikipedia. Also thanks Colourlovers.com! Best looking disgusting stuff ever.